Bequeathed by Edmond Dresden Esq. 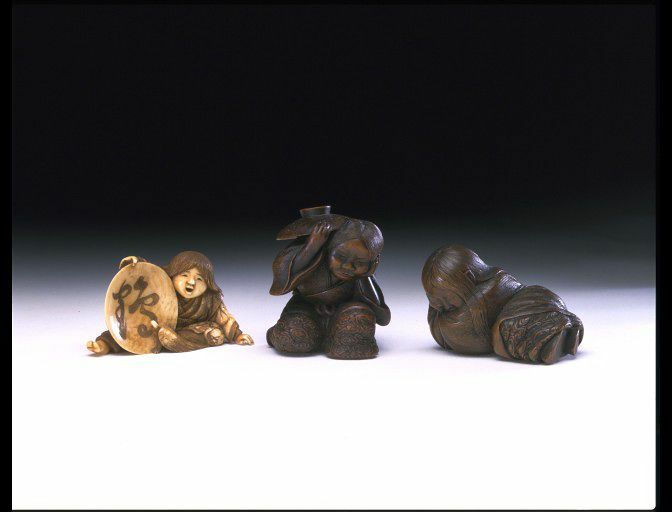 From the 18th century onwards, many more makers signed their netsukes. This example is signed Tadatoshi. 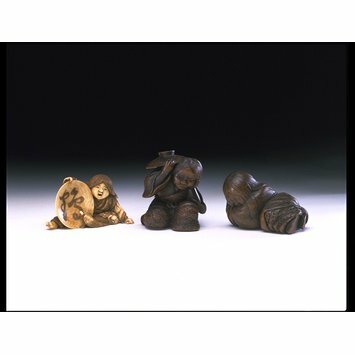 This netsuke illustrates a Shojo, mythical creatures with long red hair and a love of drinking sake (rice-wine). 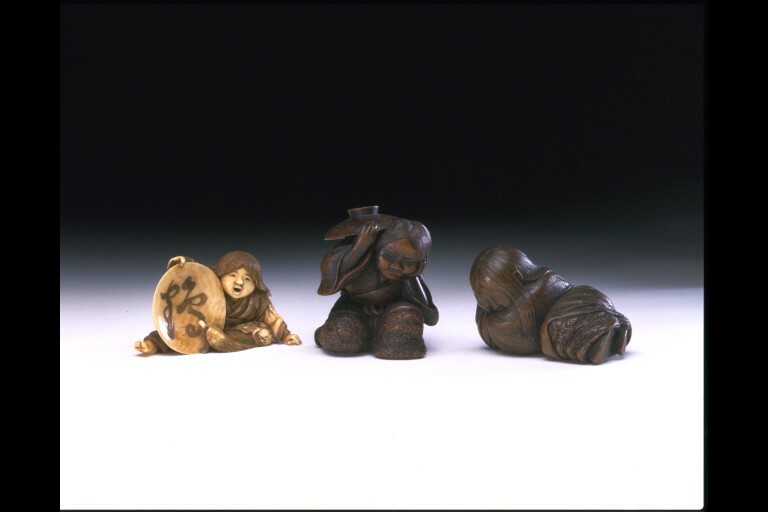 Netsuke artists often depicted Shojo as either asleep or in the midst of drinking from very large sake cups.